Free calls, text and picture sharing with anyone, anywhere! Jive provides cloud-based phone systems and Unified Communications services (Voice, Video, and Contact Center). Jive’s customers include high-growth businesses and public sector institutions needing a scalable platform that is more flexible and cost-effective than their existing legacy systems. Jive’s cloud architecture offers an integrated, seamless experience that provides richer context and creates more efficient connections between co-workers and clients. Jive’s cloud delivery model ensures that each organization always has the latest technology, features, and applications—making Jive the last phone system you’ll ever need. Within their integrated suite, Jive Hosted PBX offers a PBX call routing system, automatic call distribution, video conferencing, call recording, conference calling, internet fax, mobility, and softphone. Their products are a great fit for a broad range of organizations, from small to enterprise, public and private - across all industries. Work smarter with Vonage Business Cloud, our unified communications platform: seamlessly connect via voice, chat, text messaging or video, virtually anywhere. Over 40 powerful features give you the right balance of flexibility and control, offering everything your business needs to work smarter. With our award-winning mobile app, you can manage your communications from any device, and collaborate from virtually anywhere with robust conferencing tools like Amazon Chime and VonageFlow team messaging. We boast a 99.999% uptime reliability¹, ensuring the maximum for your business’ productivity. Setup is simple, quick, and easy to scale as your business grows. No annual contracts mean you can cancel anytime. And we pride ourselves on top-notch customer service: access to help is just plain simple. That means you can call, email, chat, or visit our online support centers. We even offer customer portals with knowledge base articles that can help you find answers 24/7. ¹The 99.999% uptime claim is based on an average of Vonage Business's call availability. Built entirely from the ground up on Google Cloud Platform, Dialpad’s business communications platform provides unmatched mobility, flexibility, and security to more than 50,000 of the world’s most innovative businesses. It’s suite of tools, including UberConference, Call Center, Dialpad and VoiceAI integrate seamlessly with other business-critical cloud applications such as G Suite, Salesforce, and Zendesk for maximum productivity and end-user efficiency. RingCentral harnesses the power of the cloud to help today’s modern, mobile businesses communicate faster, smarter, and more effectively than ever before. Built on a secure and reliable cloud communication and collaboration platform, RingCentral goes beyond cloud PBX, combining voice, team messaging, collaboration, video conferencing, online meetings, and contact center capabilities. Available across multiple devices—from smartphones, tablets, and computers to desk phones RingCentral’s unified communications as a service (UCaaS) solution scales globally, making it easy to administrate across countries from a single platform. With a robust set of open APIs, RingCentral enables businesses to seamlessly embed communications into custom or everyday business applications, improving workflow productivity. Businesses worldwide rely on RingCentral to connect their workforces, build relationships with customers, share knowledge, and get work done—how they want, wherever they want. With Cisco Voice and Unified Communications, you can unify all your voice, video, data, and mobile applications for interactive collaboration. The Nextiva technology platform is a state-of-the-art telecommunications infrastructure that allows a company's employees to conduct their business from anywhere. Aircall is the cloud-based phone system of choice for modern brands. By seamlessly integrating with the most popular CRM and Helpdesk tools, we help sales and support teams with 3+ users communicate clearly and efficiently. Admins can instantly add numbers from 100+ countries, scale their teams according to seasonality, and gain deep insights through real-time analytics. Accessible by desktop and mobile app, Aircall is trusted by over 3000 companies worldwide. Start a risk-free trial to see Aircall in action. As the global market leader in calling, Cisco Webex Calling offers the scalability, reliability and security demanded by enterprise accounts. With hundreds of PBX features, HD audio and video, and rich interoperability, Webex Calling offers the flexibility to move your business to the cloud at your own pace, in one or multiple stages. Switchvox is the award-winning business phone system solution built on the power of Asterisk with thousands of installation world-wide. With Switchvox, you can deploy your communications system according to your business needs - on a dedicated appliance, in a virtual environment, or in the cloud. The combination of Switchvox and Digium phones provides a complete (UC) solution for small and mid-sized businesses by integrating all of your office communications, include phone, fax, chat and web conferencing, to give you a customized communications experience. MiCloud Connect is a complete business communications and collaboration solution that empowers users to work more efficiently and productively no matter their location. Our focus on ease-of-use and the mobile workstyle delivers streamlined features and intuitive interfaces so users can easily interact with each other and not have to focus on making the software work. MiCloud Connect is easy to deploy and delivers simple licensing so businesses don’t have to overpay for features they don’t use and can easily evolve as needs change. Plus, it’s backed by strong SLAs, built-in redundancy and on-demand scalability to maximize uptime and deliver security businesses demand. At Loop Communications, our core focus is to provide hosted business phone systems to small businesses and mid-sized companies. We've built an enterprise-class, cloud-based business phone system that works around your needs rather than the limitations of antiquated hardware or constraining policies. Our customers save an average of 40 to 60 percent per month over a traditional landline, as Loop charges just $17 per month for an extension. No matter how many extensions or where they may be, each extension is only $17 per month. You pay the same price regardless of how many calls are made or received, or how many features you use or ignore. The industry average is to lock customers into three-year contracts. At Loop, we believe it’s wrong to stifle your growth or shackle you to bad customer service with a long-term contract. We make your life easy by providing great service so that you never have to worry. We don’t trap you or trick you because we work hard every day to make sure you want to stay. We treat our customers as partners, and it shows. We take the time up front to understand and evaluate a customer’s environment to ensure the most successful implementation. We are dedicated to answering every question, helping with every step of a transition, and considering every detail from the customer’s perspective. A powerful suite of business VoIP services 8x8 business VoIP offers more than just talk: mobile apps, web conferencing, chat, contact center, unified communications and real-time analytics. A single, global platform, Fuze encompasses all of your business communications needs – a true cloud PBX replacement and much, much more. Global voice, conferencing and collaboration, contact center, business intelligence, as well as pre-built productivity integrations with popular enterprise applications readily connect distributed workforces, wherever they are located and on whatever devices they use to communicate and collaborate. Avaya IP Office is a VoIP solution. Dixa is a customer service software solution that allows agents to deliver personal support across phone, email, chat & messenger. With no installation or maintenance required, users can access the platform from a browser and deliver support to customers on the channel of their choice. Flexible pricing and global scalability allows you to only pay for what you need and scale up or down without additional costs or effort. Dixa makes it possible to know your customers the second they reach, regardless of channel. By displaying customer conversation history and order history instantly, your team will have the information they need to solve customer inquiries faster and with less effort. All conversations types (phone, email, chat & messenger) are placed into queues and automatically routed to the appropriate agents while conversation data is translated into real-time analytics. Dixa features include: VoIP, IVR, callback, click-to-call, call recording, automations, quick responses, customizable chat widgets, real-time and historical reporting and advanced routing. Dixa’s user friendly interface and easy setup was made to enhance the agent experience and allow teams to focus on the customer and not the software. Built for inbound call centers, multichannel contact centers and small businesses across the world, Dixa provides agents with the tools to deliver exceptional customer service resulting in happier customers and a growing business. Evolve IPs hosted phone system solution delivers award-winning collaboration (video, chat, conferencing and more) and crystal clear voice services that integrate with the applications you're already using today; dramatically easing deployment and user adoption. Our internationally available IP phone system with unified communication (UCaaS) apps frees organizations from the hassle of managing carriers, hardware and vendors. Zoiper is a trusted source in supporting the businesses of Service Providers, call centers, VoIP integrators, mobile operators, and many businesses requiring immediate VoIP capabilities and compatibility implementation through service-independent softphone applications. Cisco Business Edition 6000 is more than just an IP phone system. It is an allinone solution that solves complex communications challenges for business with up to 1,000 employees. Sound more professional and stay connected with Grasshopper, the virtual phone system designed for entrepreneurs and small businesses. Grasshopper works just like a traditional phone system, but requires no hardware and our mobile and desktop apps allow you to communicate from wherever business happens - on your cell phone, in the office, or at home. Find the perfect number to build your business identity from our inventory of local, toll free, and vanity phone numbers.With a robust set of features, you will be able to provide extensions for each department or employee on your team, transcribe voicemails and send them via email. - local, toll free or vanity numbers - port in your existing phone number - unlimited business calls and texts - forward calls to any device - unlimited extensions and custom greetings - voicemail and transcription delivered to your email - mobile apps for Android and iOS - desktop apps for your Mac or Windows computer Starting at just $26 a month, Grasshopper is the obvious choice for any small business. Try Grasshopper with a free 7- day trial. Combining voice and video calls in a userfriendly interface, CounterPath's X-Lite helps you seamlessly transition from a traditional phone environment into the world of Voice over IP. Build Voice, Video and Text Applications Easily With Asterisk, The World's Most Widely Adopted Open Source Communications Software Development Framework. Asterisk is an open source framework for developing state-of-the-art communications applications. Asterisk includes hundreds of pre-built components that handle the complex, low-level details of voice, video, and text communications. Developers use Asterisk to create custom communications solutions and to build innovative communications products. Discover how Asterisk can power your next-generation communications deployment. FreePBX is a web-based open source GUI (graphical user interface) that controls and manages Asterisk (PBX), an open source communication server. FreePBX is licensed under the GNU General Public License (GPL), an open source license. FreePBX can be installed manually or as part of the pre-configured FreePBX Distro that includes the system OS, Asterisk, FreePBX GUI and assorted dependencies. Business VoIP services operate over a high-speed Internet connection delivered on our privately owned and operated network. Intermedia Unite is an award-winning, highly reliable, cloud-based phone system that helps small businesses lower costs, simplify management and increase employee productivity. With complementary mobile and desktop apps Unite users to stay seamlessly connected wherever they go, on virtually any communication device. Additionally, Unite is backed by Intermedia's J.D. Power-certified 24/7 support and a 99.999% uptime service level agreement. MiVoice Office 250 ensures small and medium sized businesses are more flexible and responsive. Through a complete suite of out-of-the-box business productivity applications, your business will benefit from reduced costs and enhanced staff productivity. Get everything your business needs to communicate over the phone, online and via fax—including a complete phone system, hundreds of powerful, easy-to-use phone system features, Android™ and iPhone® apps for mobile access, unlimited local and long-distance calling*, HD video, web and audio conferencing, online fax service, toll-free phone service and an intuitive website where you can make updates and changes to the system, even from your PC, laptop, tablet or smartphone. Voice Carrier uses the power of the internet to deliver your calls. Our next-gen technology provides cost-saving benefits and advanced functionality. It is engineered to work for every organization’s unique situation. Already have an onsite phone system? Don’t replace it. Empower it. Transform your phone system into a powerful digital voice platform without replacing any equipment. Get the savings and features you want tomorrow on the phone system you have today. Or, are you ready to step into the cloud? Our hosted service is built to be powerful, yet simple. Productivity-boosting capabilities come standard, out of the box. Voice Carrier's simple all-inclusive plans fit your needs today and support your growth for tomorrow. Incoming, outgoing, local, long distance, voicemail and conference calls come standard. Pay a set price per month that includes minutes, unlimited users, extensions, conference lines, and voice channels. No rate tables, seat fees, subscriptions, or confusing bills. Whether onsite or cloud-based (hosted), a full set of enterprise-grade features come standard like Conferencing, Voicemail to Email, and Auto-Attendants. Plus, you’ll get the cost-saving benefits of IP connectivity. With over 100 modern features included and free US-based customer support, Voice Carrier phone service is simply a more powerful way for your company to connect, at a much lower cost. For more information, please call us at 855-456-8647. BroadWorks is a Voice over Internet Protocol (VoIP) applications platform that enables service providers to deliver basic and enhanced voice services for business and residential end users. 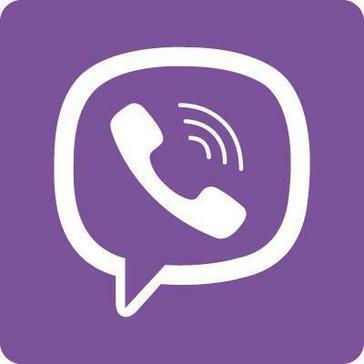 BroadWorks enables carriers to offer a differentiated set of communication services that range from media-oriented services such as Voice Messaging, Conferencing, and Auto Attendant, to personal calling functions such as Selective Call Forwarding, Simultaneous Ringing, and dial-by-name. Fonality is a business VoIP service and phone systems that comes with communications software, that help you sell, service, and collaborate with ease. The free MobileDay app produced by Twine has been a popular addition to the business professional’s toolkit by providing a quick and easy way to enter into a conference call without dialing. Free, unlimited use app. MobileDay provides: - One-touch dial into conference calls and online meetings. - A free conference bridge if you don’t already have one. - Agnostic integration with any existing conference bridge you might already be using. - Running late to meeting notifications to send to colleagues if you get stuck. - Join Call Push and My Day notifications so you never miss a meeting. X Series offers plans which you can mix and match to address your diverse needs in the most cost-efficient manner. Cradle gives you the full feature set you need to deliver a wonderful phone experience - for both your customers and team. Additionally, we analyse your call history to connect your customers to the right people in your team, at the right time. Wireless business phone system built for sales and support team. At its best, unified communications (also called “UC”) is just what it says – it enables better collaboration by unifying formerly separate modes of communication into a single, combined user experience. Email, text, and voice messaging work seamlessly with live voice, audio and video conferencing, and Web collaboration, in one interface, with “presence” notification to indicate your availability to participate. VoIP.ms is a VoIP origination and termination tool. 2600Hz offers a Unified Communications VoIP platform for Small Businesses, Resellers and Entrerprise-grade clients. Accession Communicator is a communications software that delivers a suite of functions that enable enterprise customers to extend a network operator's critical business telephony services simultaneously to multiple endpoints including a user's laptop, desktop, portable device or mobile handset. The AVOXI VoIP gateway solution is the preferred VoIP solution for larger customers with existing PBX and phone systems. Cloud-based technology enables efficient use of legacy systems while decreasing hardware investment and maintenance. BT IP Communications provides flexible VoIP solutions for businesses. UK Business VoIP Provider bringing your entire phone system together in powerful desktop and mobile apps starting at just 5.00 per month (7 day FREE trial) Circle Loop features include personalised voicemail, call recording, call transfer, contact management, conference calling. Circle Loop integrations include Google, Pipedrive, Hubspot. Circuit is voice, video, screen sharing, messaging, and file sharing in a single view. Fusion360 provides you with the stability of a traditional PBX phone system and the advanced unified communications features that only a next generation cloud-based solution can offer. From desktop to tablet, and from handset to smartphone, our device agnostic service was designed from the start to be flexible, with customized solutions serving each customer's unique needs. Bringing it all together in one solution, Fusion is your single source for the cloud, with SIP trunking, contact center, collaboration and comprehensive access, connectivity and equipment options delivered in a one-stop, end-to-end managed solution with exceptional quality and outstanding customer service. ImpacTech is where innovation meets business and great things happen because great people come together.